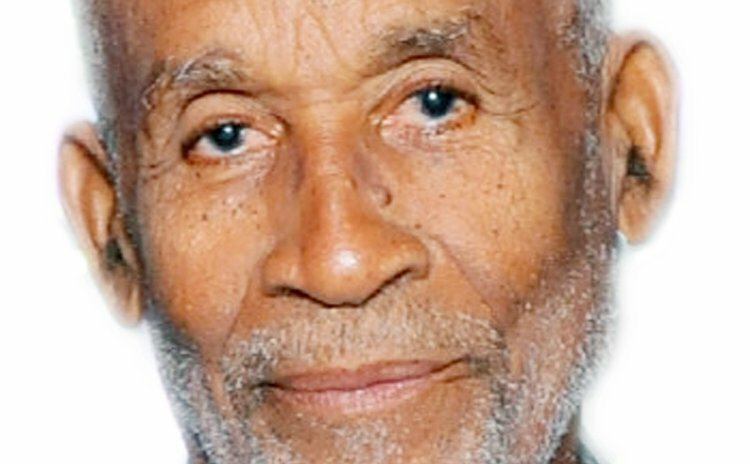 Business and family man and devout Catholic, Carlton A. Phillip of Fond Canie will be buried in the Catholic Cemetery in Roseau on Tuesday July 30, 2013 following the funeral mass at the Cathedral Chapel. Carlton Phillip was born in Roseau on February 15, 1935. After primary school education in Roseau he attended the Dominica Grammar School and the Saint Mary's Academy. His first job was with the government as a surveyor. He left the government service to manage the Aquatic Club for his dad and later became part-owner with his brother, David. He later purchased a dumper truck and worked for the government on the Pond Casse road project. Afterwards he opened a shop selling sports equipment, groceries and ice. Fire destroyed it. Then Phillip started his rent-a-car service with three Volkswagen cars, and a roadside mechanic shop on Field's Lane, which was later moved to Fond Cole in the early seventies. "And every day I would see him. I started going to his garage at 13 years. And I went straight into employment with my father on leaving school. We worked together. We had a good working relationship. He was very much involved with his church. A family man, and basically he is my mentor". The whole family is very much Catholic and Patrick said he is also 100% Catholic even if he does not go to church as often as he would like. "A lot of my traits are from my father," he said. Patrick informed The SUN that his father started with a car rental business in 1965 and started selling cars in 1976. The rental business was located at 24 Field's Lane. "In those days he was the only person renting cars. He had a fleet of Volkswagen Beetles, and he was the only rental car company in those days. From Field's Lane we moved to Fond Cole, and so was launched the Motor Pool," Patrick said. Carlton Phillip married Magdalene Dorival of Roseau in 1961 and the partnership bought forth five children. One of his daughters, Dawn, preceded him to the great beyond only last year. The other children are Conrad, Patrick, Caryl and Gale. He is also the father of Clem, Susan and Cynthia. Carlton enjoyed the company of his 17 grand children: Conrad (II), Corrie, Cody, Kyron, Patrick (II), Jade, Cameron, Yasif, Deighton, Khern, Kyle, Dabria, Alianne, Dominique, Joelle, Chantelle and Lisa; some of them have already joined the family business. Khern Toussaint describes his grand-dad as serious-minded, but an undercover joker; his grandfather was fun to be around. When it came to business and family, he was cool and calm. And Khern added that he liked and enjoyed being in his company every day. Phillip, senior, would advise, said his grandson: Once you work hard and you are serious, things will come your way. You will get trouble but you can overcome it. Don't keep anything on your heart really. Take life seriously but don't take it to your heart, because things happen and there's nothing you can do about it. Carlton Phillip's daughter Caryl also shared similar sentiments. "My father was somebody you could rely on, someone you could talk to easily and guide you. Basically he was somebody who was always there for us and never hesitated to give information or share information, on anything. So we looked for support from him in everything that he could," she said. Caryl Williams noted that her father did not like publicity, so everything that he did was done quietly. "He knew he had to give to society as well as his children, so he did everything, but not looking for the praise or anything like that," she said. Carlton Phillip's pastime away from work and family was all church related. "At the time of his passing he was on the COR and Marriage Encounter Committees; these were the groups he belonged to, and they were church related. He was a stalwart in his faith. Every living day at 5 o'clock he had to say his rosary. His routine was his rosary, then his exercise and then his natural foods," she said. And that leads to one of his hobbies, gardening. He had a passion for natural herbs, spent time in his garden growing what he wanted to eat and drink. If a father can be proud of the legacy he has left his children, then Carlton Phillip can go to his Maker in the direction he led them. "He would tell us," continued Caryl, "that we are only here for the time God put us, make the most of it. His faith greatly impacted on us. Because we know that there is a greater Being than us, and everything we do, we owe it to God." So if one can call anyone good and faithful servant, the family of Carlton A. Phillip has no doubt where he has gone to, and where they want to follow.